You’ve probably heard of this platform floating around out there – but are you actually using it yet? If you’re using it, are you learning all of the features or straddling with MS Office suite still. It’s time to discover the real freedom, mobility, and power of Google Apps. Google Apps includes more than the best email system available. It offers an entire business infrastructure and app marketplace of trusted, reliable, free and low-cost apps. More importantly, the real time collaboration within drive, docs, and the rest of the suite are irreplaceable. We’ve used them to write our book and we’ve also used these real time tools to help organizations and teams create strategic plans, culture books, and organize events. This cuts down, if not destroys, the need for lengthy and ridiculous chain emails that are clunky, slow and hard to follow. Implementation is fairly easy. You can have your IT guy hook it up (beware of god complex admin types) or have us do it and ensure all the bells and whistles are enabled properly. The platform itself is totally free for nonprofits and $50 per person, per year for everybody else. Enjoy access to your entire toolkit on any platform: mac/pc and every type of mobile phone. Additionally, if your staff and team are distributed across multiple locations/computer types, this is a great platform to start with and switch to. Assuming you’re using Google Apps, you may be managing your donors in mass via email newsletters, but who is in charge of building the real relationship with the big and passionate donors? Constant Contact and MailChimp are good touch point systems but certainly not enough to build meaningful relationships. You need a system to manage your efforts. If you’re looking for an app that’s streamlined and lean that can help you cultivate and better manage customer relationships, Streak is a great choice. Streak CRM is perfect for managing relationships, partnerships and deals right within Gmail /Google mail. First it allows you to determine the stages of your relationships or deal flow. This is great if you’re courting a major donor (or a whale as we say in the biz world). This allows you to easily carve out your own system of relationship tracking and separate the various groups you work with (e.g. suppliers, volunteers, partners, donors, investors, etc.). You can share pipelines with your group, who in turn can see relevant emails and files associated with that contact. This is a great way to get more out of your team and ensure that no one person owns that contact. Streak also enables you to get read receipts (know the instant email is being read), easily insert snippets of text, snooze email to auto prompt you to follow up at a later time. The list goes on and on. Why does a nonprofit need Customer Relationship Management (CRM) software? Just like any other organization, nonprofits rely on strong relationships with their customers (donors) and partners (supporters and commercial partners). Juggling touchpoints and multiple contacts and staying on top of these relationship is real work. Customer support and sales professionals use CRM software to help them stay sane and establish rock star status in their respective communities. Nonprofits need to lean into this as well. Boomerang for Gmail and it’s counterpart Boomerang Calendar are Google Chrome Extensions designed to remind you to respond to important email by boomeranging specially marked items back at the top of your inbox. We don’t use it for this feature though. The calendar and scheduling features automatically detect dates and times mentioned in any email and will highlight them in either red, yellow or green. If it highlights the date or time in red – it’s because you’re already booked for that time. If it highlights the date/time in yellow, it may be too close to another appointment you have. If it’s green, you’re good to go. The good news: Boomerang makes it easy. Whatever the color, you simply mouse over the date and time and it will pop-up with your schedule. Speaking of systems and processes – How are you going to enhance the donor experience for your 21st century nonprofit? Isn’t it time you had a direct, dynamic relationship with your audience? Social platforms are noisy and fragmented. It’s time to create a better online experience for your community. One that is modern, responsive, cost-effective, content centric, and not overly indulgent/dependent upon social media. You want focused attention and genuine engagement from the masses on a budget you can manage. You also want a platform that doesn’t chain you to a third party vendor or make you a slave to your current IT provider. Enter WordPress. If you can use MS Word and PowerPoint you can master WordPress. WordPress is the content management system that is easy to use and perfect to run your own little corner of the web. It can be as simple or as complex as you wish to make it, but at its core, simplicity reigns. With the latest version, everything is more visual from design, layout and formatting articles, to adding plugins. If you can manage in the app store, you’ll feel right at home with plugins. You may even be looking to build and grow a community on your own little corner of the web. Yeah, we can help build that and preserve your freedom, ownership and independence. Or we can set you up so you can go down the DIY route and build it yourself. Either way we want to encourage you to use this platform with your team. As a final testament to the platform – we’ve been doing great things with it for a decade and can’t get enough of it. 5. What about your content strategy? How will you leverage all of these tools to create content that matters and drives the masses to your cause? 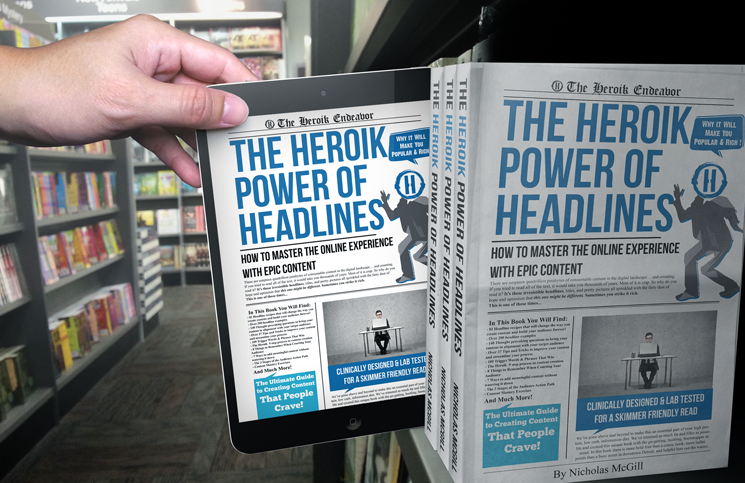 For the DIY crowd, check out our book, The Heroik Power of Headlines. This book will train you and your team in the fine art of creating headlined content, and content strategy. It will also put you all on the same page and give you the confidence and authenticity that your audience will love and keep them coming back for more. Unlike many other books that schlep absolute pandering and snake oil tactics, The Heroik Power of Headlines takes a firm stance on the necessity of building a strong brand with meaningful content. The eBook will run you $25 – but the author makes himself available for discussion, so you get access to an expert as well. How about professional communications with your staff and volunteers – Yeah there’s an app for that and it’s NOT email. Check out Slack. Slack allows you to have real time, focused communications with your team, it integrates with Google Drive and countless other systems to ensure your team has the context for communication right there on their screen. Slack is mobile as well, with an app for iOS and Android, it travels well. Unlike facebook, it’s also GIF friendly, so it can bring plenty of cowbell. Hands down, the Slack app is one of our favorite discoveries of the year. It makes focused communications and culture building a breeze. It also eliminates the need for those ridiculous chain emails at the office. Come on – start slack’n. Recently acquired by LinkedIn – Rapportive provides real time information from public profiles on popular social media platforms. Rapportive is another Google Chrome Extension that sits inside your Gmail or Google Mailbox and gives you information on whomever you’re communicating with including their latest Tweets and status updates (including posted images) on social media tools. This gives you context for your next conversation and is a very useful tool. FREE. Many programmers and development teams use Trello to map out their projects. It’s more visual and tactile than Asana and is particularly great for visualizing stages of workflows. If you’re a fan of sorting your life out, outlining projects on 3×5 index cards, then consider using trello. It’s also Free. 10. Seevogh – More powerful than Google hangouts, Skype, and Vidyo combined. Book a Meeting & use it. We’ve been managing the distributed team in our innovation lab using Seevogh for over 3 years. We love this app. It’s available for every platform under the sun including Linux, Mac, Windows, Android and iOS. It allows you to host high-def video collaboration sessions on a thin layer client that won’t brick and glitch out. Skype and Hangouts, I’m talking about you. If you want remote collaboration with professional quality and without distractions this is the best option out there. GoToMeeting ain’t got nothing on Seevogh. The only downside is that Seevogh is by no means Free unless you have access to our lab, but you should look into it. Feel free to harass the Seevogh team. Tell them Heroik sent ya. Clean contact databases are vital. You should be scrubbing your mailing lists regularly to ensure your communications are not marked as spam. Equally important, is the management of your personal/professional contacts. Scrubly is a one stop shop web service to clean, merge, backup and synchronize your contacts. Scrubly is free in low doses, but for most users it will run you $20 for a one-time contact scrub, or $40 per year on the the all-you-can-scrub plan. So pick which is best for your needs. I’m a fan of professional graphics and photography but I must admit Canva offers a lot of value for the artistically impaired. If you want an amazing list of 30+ more visual resources, you’ll have to read our book. However, if you don’t yet have a process for creating great visuals, Canva is a great place to start. Canva makes it easy to search, find, and buy elements and arrange them on a canvas to produce professional graphics for social media, presentations and more. Canva has prefabbed canvas sizes, and an extensive library of free and dirt cheap stock image to use as well. 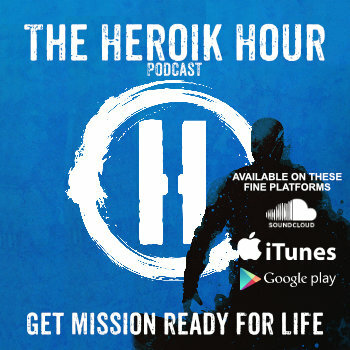 The app is free, the addons are cheap, the finished products are amazing. If you’re using Internet Explorer, it’s time to join the populace in 2014. 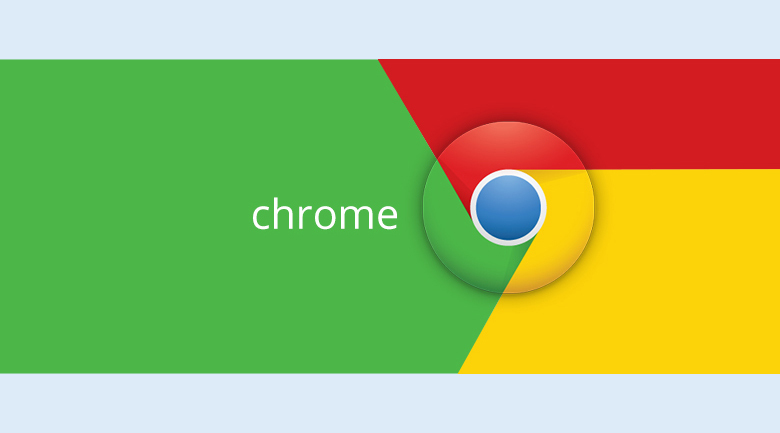 Throw out your old AOL CD’s and download Google Chrome. Why? Well for one it synchronizes your browsing history and favorites on any device that you use it on (smartphone or otherwise). Also, several of the extensions I mention in this article are only available for Google Chrome. And surprise, surprise, it’s best suited for Google Apps environment. I hope you saw plenty of things you’re already using. If so, let this article serve as validation that you are indeed on the right track. Hopefully you found a few new tools here as well and this article brings even more value to your endeavor. Something to keep in mind: tools alone won’t transform your team. You need to start with a good team, an effective strategy, and proper execution to arrive at extraordinary results. Sometimes, you have to use what you’ve got around you as best you can. Other times, you know when and how to reach out for help. Don’t hesitate to contact me if you need help getting started. Comment here or email us.